YOUR DREAM HAS COME TRUE! This UNBELIEVABLE private oasis is available. Tucked back off a dead end road is 93+ acres of heaven on earth. Stone trails roam through the wooded acreage where wildlife of all kinds call home leading you to the river frontage running along the back side of the property giving you year round activity possibilities. 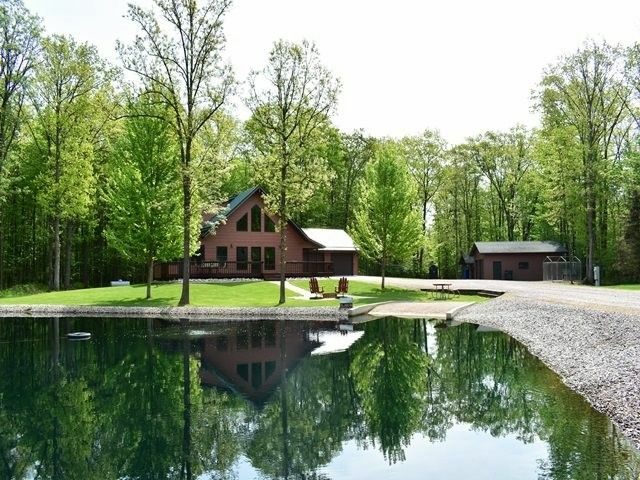 Your picture perfect setting begins with the stock pond in front of the house. Directions: S on Central Ave, continue S on Hwy 80, E on Woehrle Ln to home.